What do you need to think about when deciding on the best jurisdiction clause for your commercial contracts? In our last blog we looked why it’s essential you include both governing law and jurisdictions clauses in all of the commercial contracts you require to trade internationally. As a follow up we are now going to look at the different options available to you when it comes to choosing the right jurisdiction clause. In essence there are two options, litigation and arbitration and it’s crucial that when you choose which it best for you your decision is based upon two primary factors. The first is enforcement; you need to be sure that once you have received your judgement, it is going to be accepted and actioned wherever the assets are. Within the EU that's not likely to be a problem as an EU judgment will be accepted in all of the countries within the Union but outside the EU, it could very well be a lot more problematic. The second factor relates to the respective features of the two systems; litigation is public, arbitration tends to be private and while you can’t choose your tribunal in litigation, you can in arbitration. However, the most important point to note regarding arbitration is that it also has its own enforcement systems. As arbitration is really just an alternative to litigating before a national court, it relies on the cooperation between the parties involved rather on any clear legal definition. Arbitration will lead to a decision or ‘award’. That award should be binding and enforceable through the New York Convention (to which 150 of the world’s 192 countries belong) as long as the contract at the heart of the dispute clearly states that, in the event of a dispute, the parties agree to arbitrate rather than litigate. However, if you do choose arbitration your contract will need to be worded extremely carefully if it’s going to work. You can say the parties agree to arbitrate but also you need to stipulate exactly how and where. There are a lot of options depending on where you want the arbitration to take place and/or whether you want the support of an institutional body like the London Court of International Arbitration (LCIA) or Paris’ ICC who will both give you a set of rules although the arbitration itself does not need to be undertaken in the city in which they’re based. So if arbitration could be starting to look much more like litigation in terms of length and cost, you could perhaps consider adding alternative dispute resolution (ADR) methods like mediation, negotiation or expert determination to your contracts. 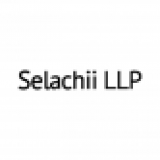 If you would like to discuss how you can ensure your contracts contain the right governing law and jurisdiction clauses or have any other questions relating to your commercial contracts or a contractual dispute, please call us today on 020 7792 5649 or email us at info@selachii.co.uk.